This item is for all three RailSmith NS coaches. ‘Louisiana, Iowa & New Jersey’. 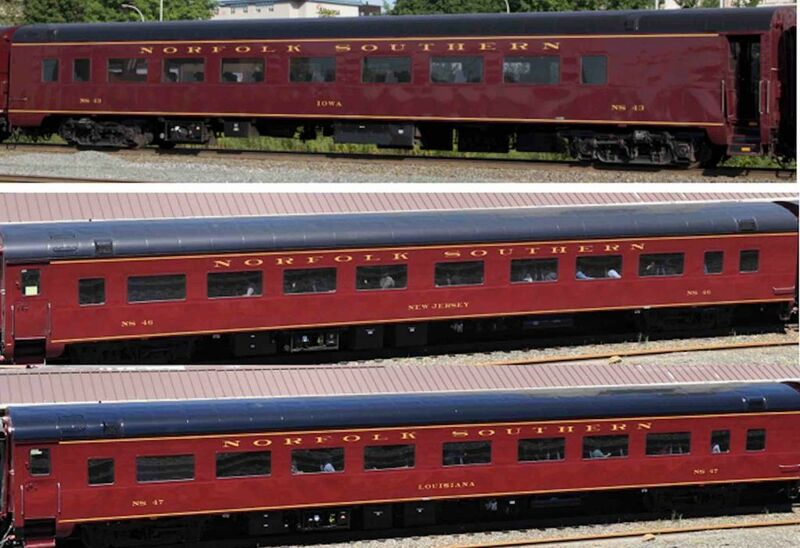 These are the 10th 11th & 12th cars in this series of the Norfolk Southern’s Office Car Special. 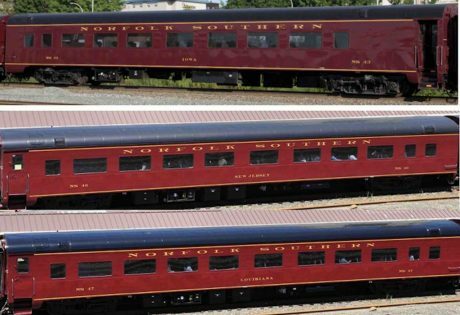 We will get back to the 9th car, Delaware when it is back into production. See Fleet Pricing for all three.